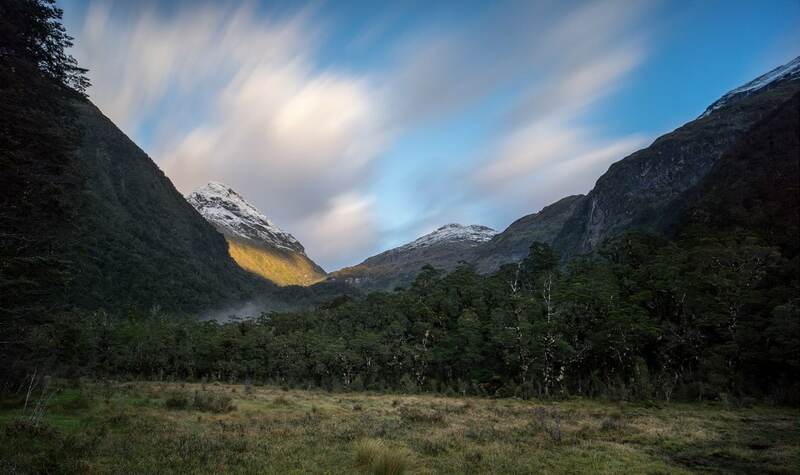 In the previous parts of my travel report of my New Zealand trip I have already mentioned that the hike on Dusky Track was one of the highlights of the trip. 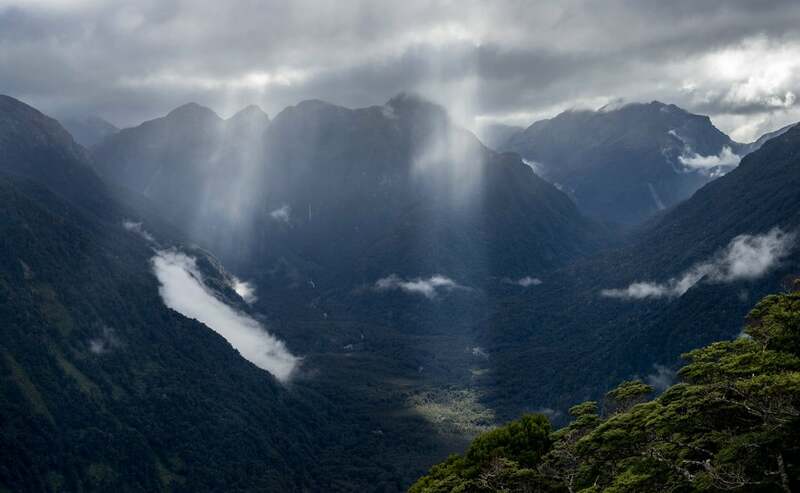 It is located in the Fiordland region of the South Island and crosses rainforest and two mountain ranges. Although a large part of the track is in dense forest, I really enjoyed it. In Europe, where I live, such untouched forests are very rare. 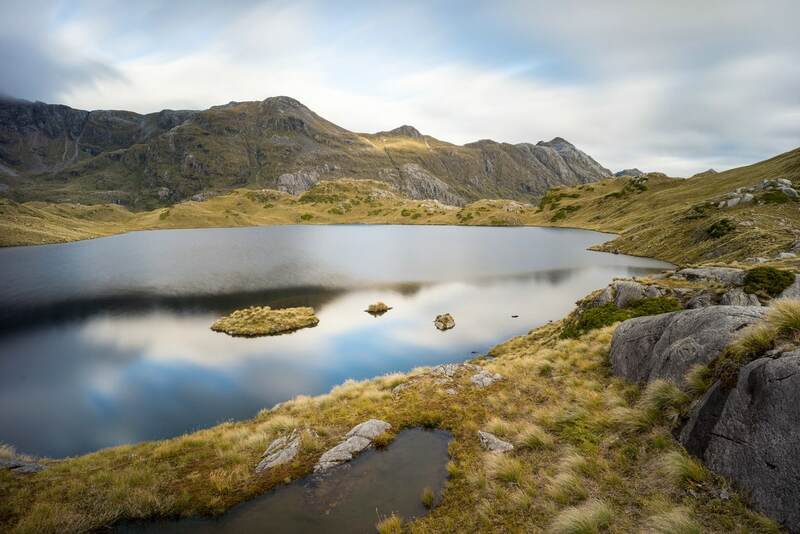 The alpine sections offer spectacular views and really complement the experience. 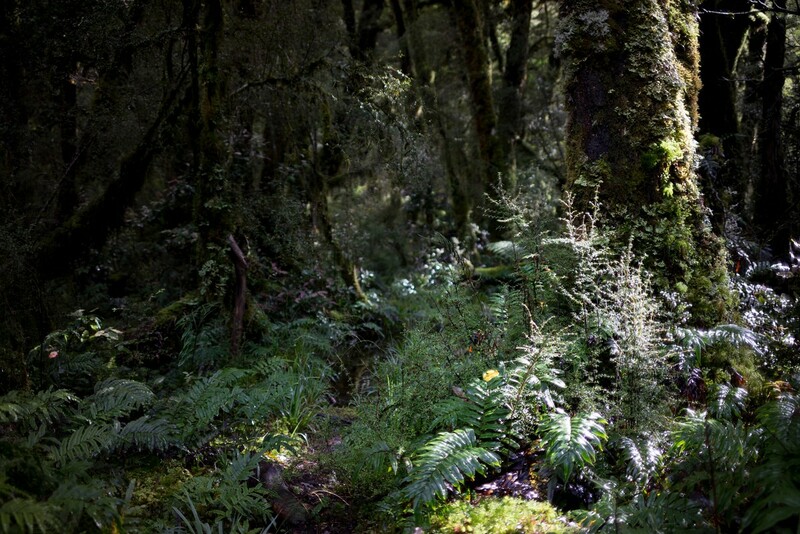 Hiking Dusky Track can be challenging, especially in wet weather. Although well-marked, the trail is a lot rougher than the rather touristy Great Walks. The huts are small and cozy and accommodation is cheap. 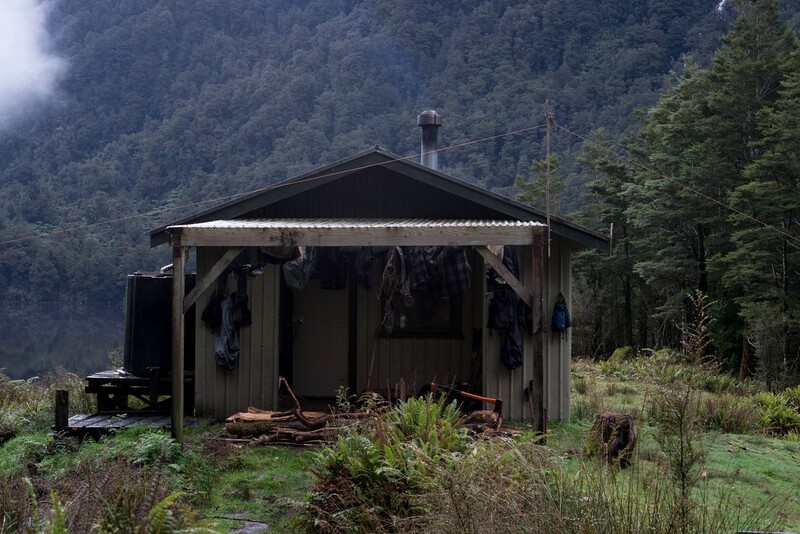 Due to recommendations and the expected wet conditions I totally relied on the huts for this hike. Usually I prefer to have at least the option for camping. Next I will describe the individual sections of my hike. 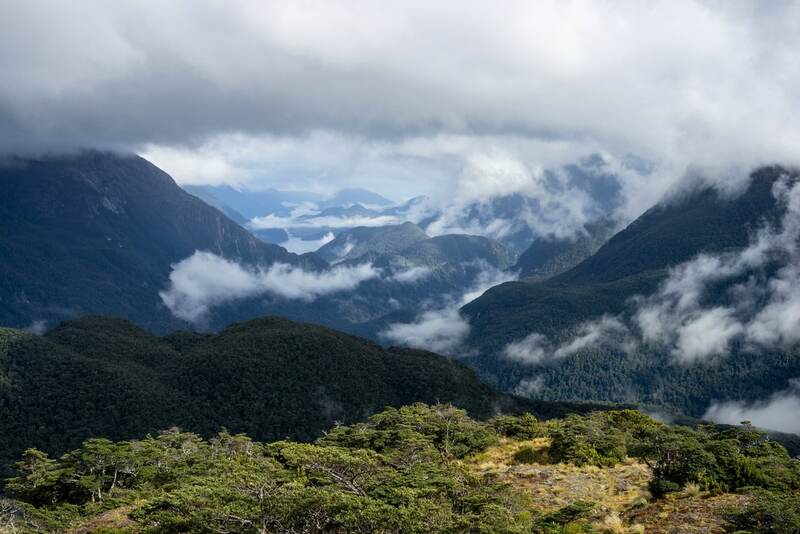 I started at Lake Hauroko and finished at the West Arm of Lake Manapouri. 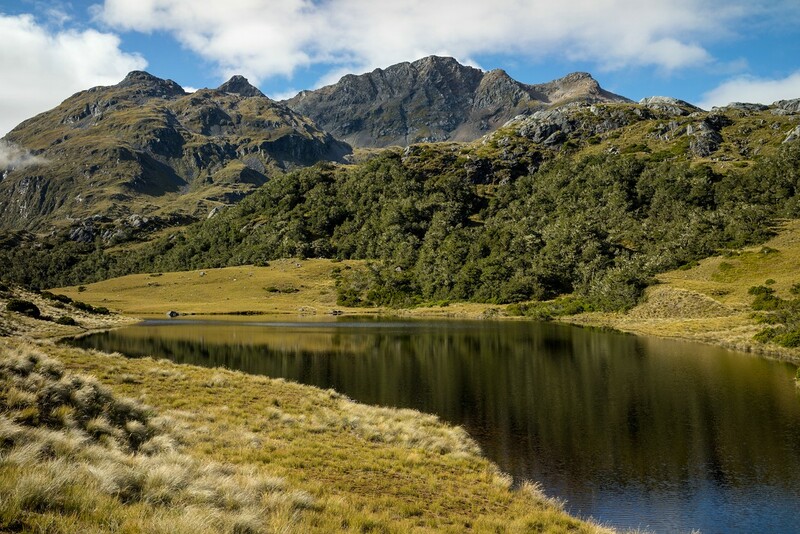 My hike started at the north end of Lake Hauroko where I was transported by boat along with a few other hikers from the US and Canada. At the trailhead Hauroko Burn Hut may be a convenient stop when hiking in the reverse direction (when waiting for the boat). 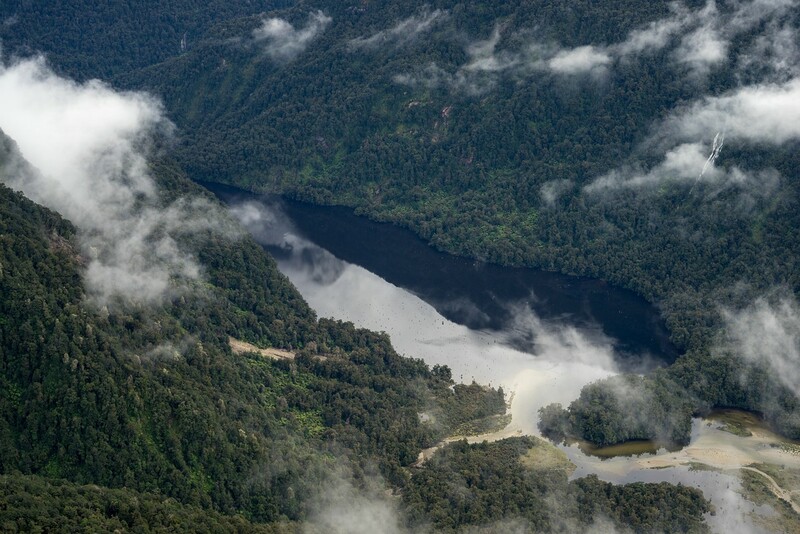 The boat transport across Lake Hauroko is on-demand and needs to be pre-booked. 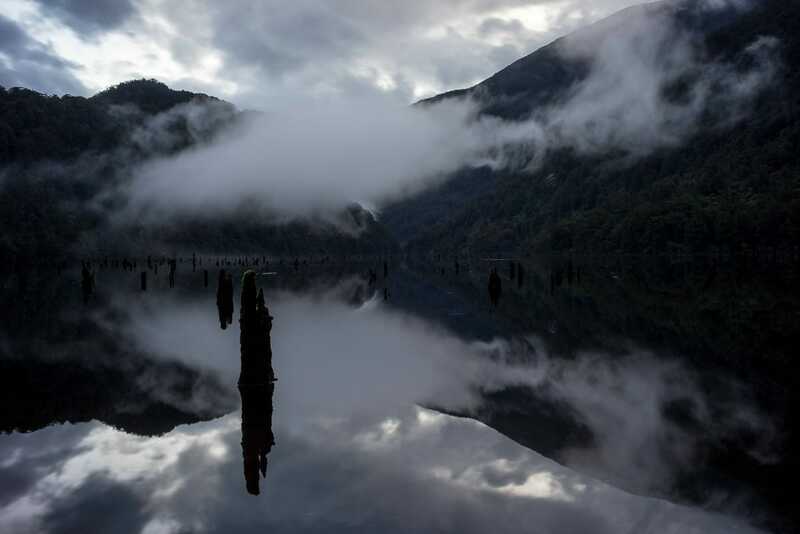 The weather started out with heavy rainfall – the forecast mentioned 100 mm of rain this day. This is a lot and as a result the water levels were rising by the hour – which proved quite challenging. Unfortunately, due to the weather conditions there are no high-quality photos of this section. In the video above you can get some impressions, however. 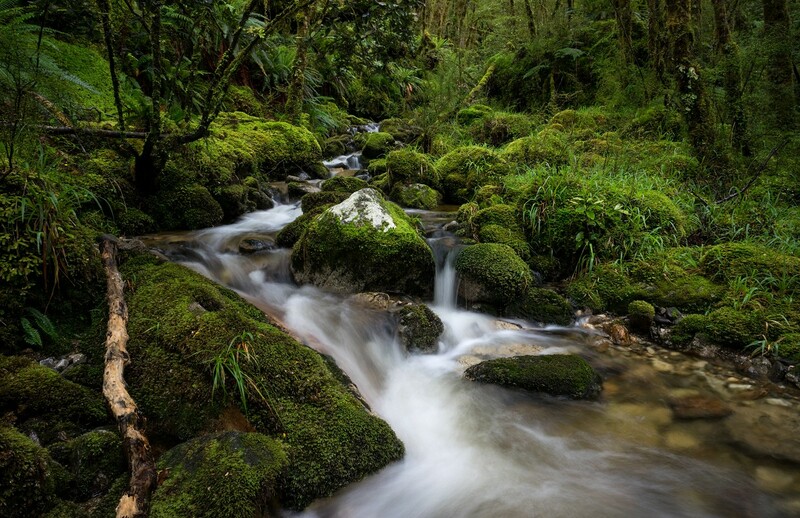 The Hauroko Burn – which the trail follows for the first two days – was a large brown river carrying tree trunks. While the first crossing of the river via walkwire was no problem, side streams that normally are easy to cross became a challenge. I was slowed down significantly in the search for the right places to cross these streams using my hiking poles to measure the depth. Once I accidentally slipped into deeper water. It was a shock due to the cold, but I recovered quickly. Fortunately, there was almost no current and I quickly was able to get out again. Shortly before reaching Halfway Hut (my GPS showed a few hundred meters remaining), when it was slowly getting dark, there was a particularly challenging side stream. The water level was almost chest-high and the current made it even more difficult. The other hikers coming after me fortunately were able to use a large log that was under the water surface to crawl to the other side. I can only recommend to stay put on such a day and continue only when the weather improves. The next morning the weather was much better and the water levels had dropped significantly. Hauroko Burn (the brown river from before) could now be easily crossed on foot. I really enjoyed the walk through the rainforest. 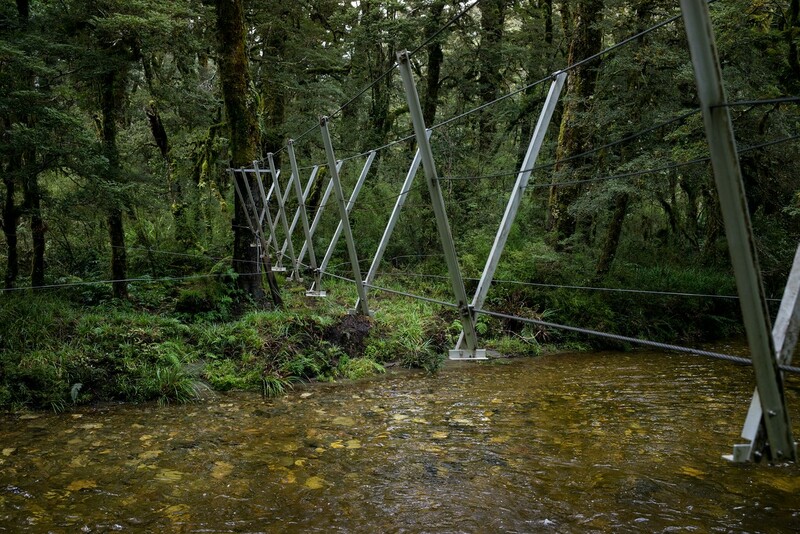 The trail continued to follow Hauroko Burn and there were additional opportunities to do some balancing excercises on walkwires. 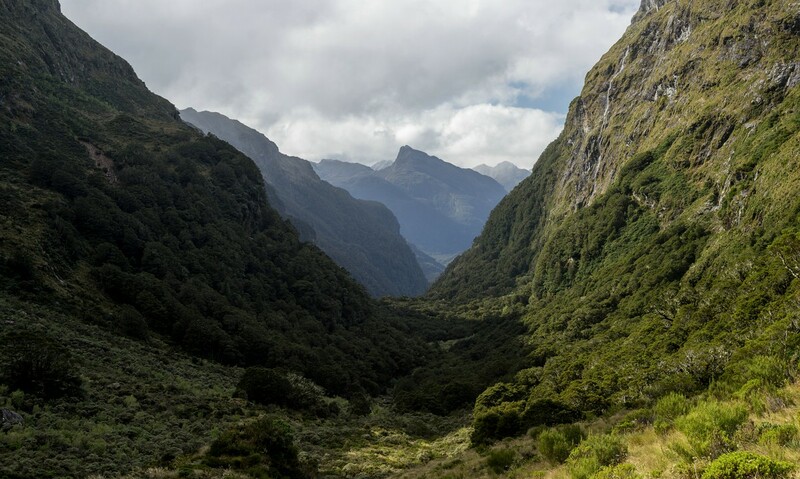 After some time the trail started to climb steeply until it reached the treeline and continued though grassland. The open terrain was a nice contrast to the forest. Shortly before Lake Roe Hut I passed Lake Laffy. To reach Lake Roe from the hut a small climb is necessary. I used the remaining time in the afternoon and evening to explore the surroundings. From the hills behind the hut there were also interesting views back to the valley of the Hauroko Burn. It was kind of strange to see everything from above now. 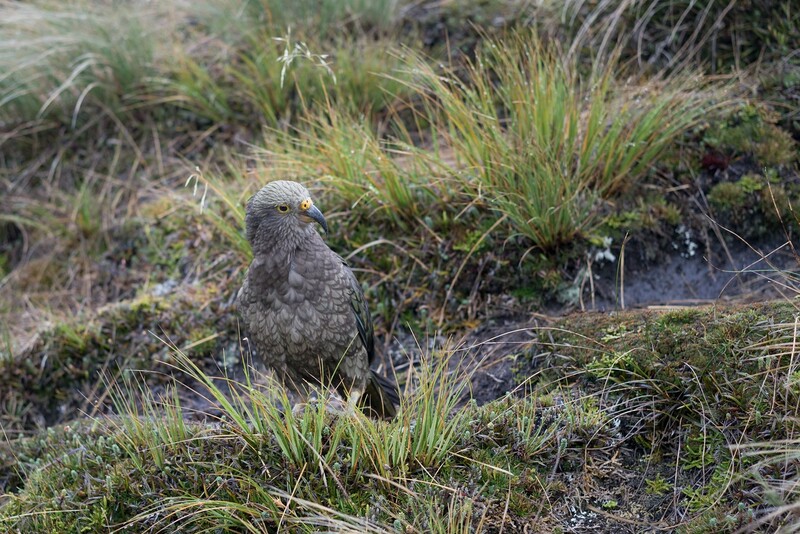 In the morning I was greeted by some feathered friends: Keas – a species of parrots only found on New Zealand’s South Island. The trail continues through open terrain and along a few lakes. Then it crosses the Pleasant Range. It is aptly named so, because the views are really spectacular. It can be considered as the scenic highlight of the entire track. While there was some drizzle at fist, soon the weather improved enough to enjoy the views. Soon the track starts to descend and when it reaches the treeline it becomes very steep. It took longer than initially expected to reach the hut as there are 1000 vertical meters to overcome. Often the hands are needed for support. Shortly before the hut there is a walkwire across the Seaforth River. With very high water levels it can be impossible to cross. This was difficult to imagine when I was there because it was more than 2 m above the water surface. 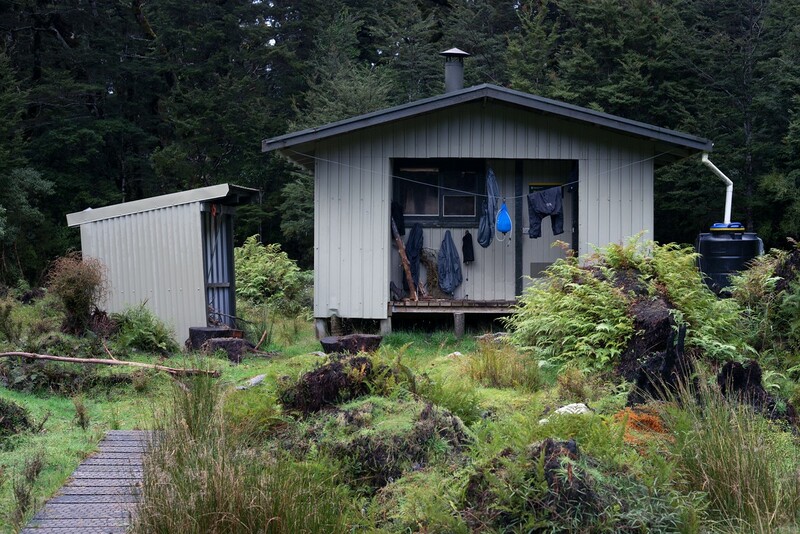 From Loch Maree Dusky Sound can be reached in a two-day detour including one night in the hut at Supper Cove. At Loch Maree Hut I met some hunters that had a mountain radio and thus could receive the weather report. As there was heavy rain forecast for the evening of the next day and the day after, I decided to skip the detour to Dusky Sound. The trail to Supper Cove is very prone to flooding. 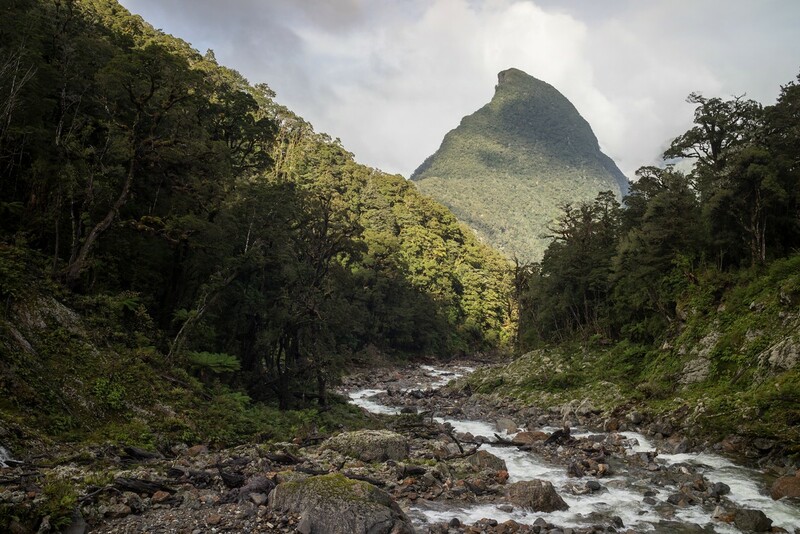 This section follows the Seafourth River and is also prone to flooding in wet weather. In some sections it was rough going but manageable due to dry weather conditions. I tried to be as fast as possible to not be caught up in the upcoming heavy rain. I succeeded and reached Kintail Hut early. Unfortunately, I did not take the time to really enjoy my surroundings. Indeed, the rain came and did not cease for the entire next day. 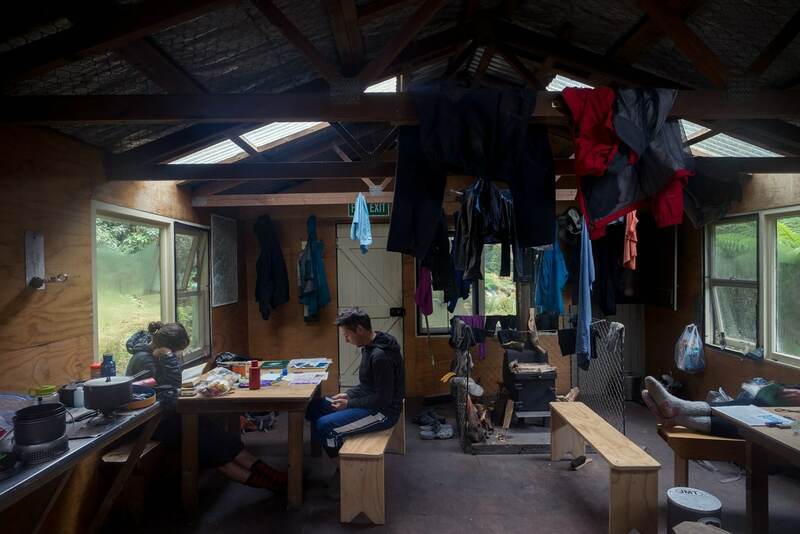 I stayed put in the hut in company with the other hikers I had met before. It would have been impossible to go on safely, as the whole valley was flooded. Fortunately, the rain had finally ceased and I continued on my hike along Kintail Stream and then steeply up towards Centre Pass. Even before reaching the pass itself there were openings in the trees with interesting views. The higher I got, the colder it became, and it even started snowing slightly. When I reached the pass there were beautiful views – especially towards the Spey River valley. Soon I reached the treeline and a steep descent into the valley followed. 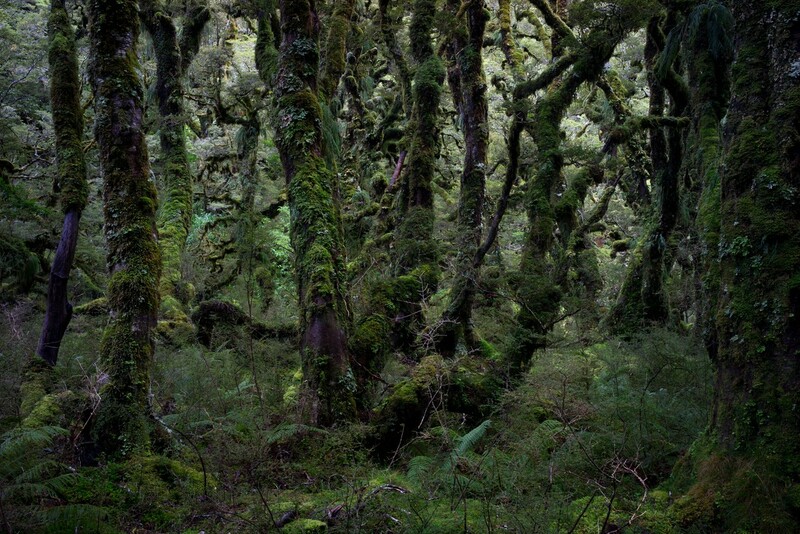 I was again surrounded by forest and this time I took the time to really take in my surroundings: the ancient, moss-covered trees with crooked branches that seemed to have escaped from a fairy tale. At Upper Spey Hut there was another group of hunters which led to interesting discussions in the evening. 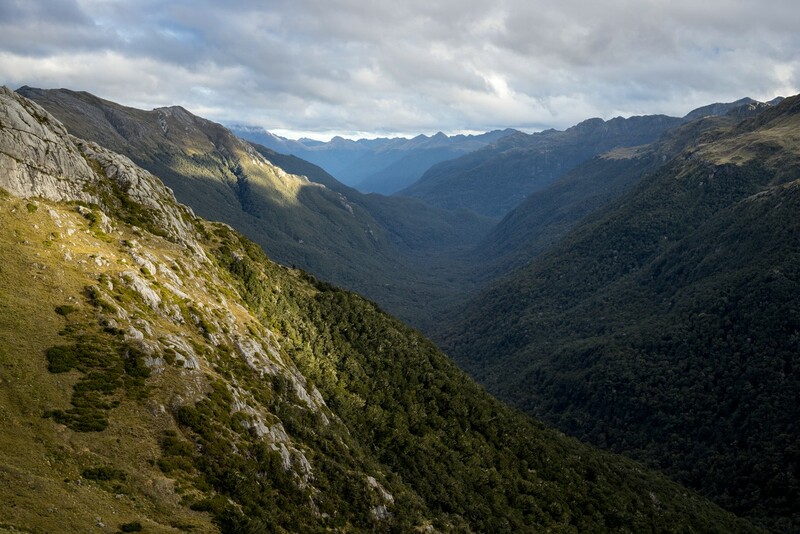 From Upper Spey Hut the track follows the Spey River until it ends at the Wilmot Pass Road which then leads to the West Arm of Lake Manapouri. 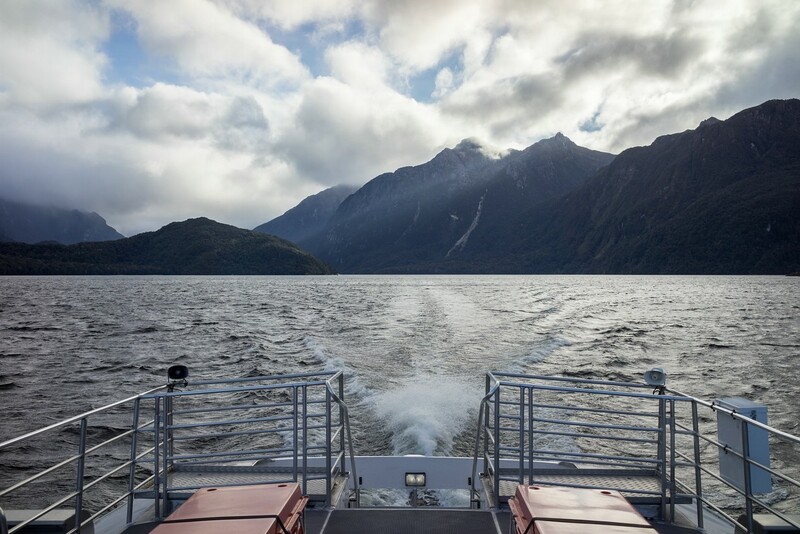 There is a daily boat service to the village Manapouri from there. This section is mostly flat but often boggy.